Starting with…names of… and then there was coordinated clapping and snapping. I tend to make light of awkward or sad situations because it’s a nervous habit, coping mechanism, Sorrrry! So, Friday was a day of hustle and bustle in our home…because my elderly in-laws were staying over we decided to host the Sabbath services in our home to facilitate an easier time for my father in law, as walking has become increasingly difficult. Cleaning and cooking, washing the floor, setting the chairs and lights and A/C so that all would be comfortable. I lit the candles on time and then the prayer service started and somewhere in between, the phone rang. This is highly unusual since everyone knows we are Sabbath observers and the phone almost NEVER rings during this 24 hour period. No message… so we continued on. Until a friend went outside to get her baby’s stroller and she returned saying there were tons of soldiers outside. Over the last 2 weeks my personal alert radar has been on since the war had escalated and local rioting started but for some reason – coping mechanism I guess, kicked in, and I asked my older daughters to invite them in, perhaps they needed to pray…not for once thinking – there was a problem. Then (like an idiot – or just totally not thinking smartly) I – we went outside and wished them a good Sabbath and asked what was going on. When they said not to worry, but go back inside, it will be safer, my inner alert system kicked into high gear. Then the phone rang a second time. It was a call from our emergency team leader saying we must stay inside our homes, check our WhatsApp messages for any other security messages. Panic. I made an announcement as the prayer service had just ended to all the men that kindly helped us out. One guy was like, ‘I’m outta’ here, I’m gonna’ be with my family” – others were a bit more hesitant…I mean what was out there? Everyone decided to take their chances and head home, even though I offered them to stay for dinner. We began our meal, but my mind was elsewhere, thinking of all the crazy possibilities. Every set of headlights up the block had my eyes turning to the window. Every bleep from my phone had me quickly checking to see any updates. My daughter saw a soldier in our garden checking the perimeters to check for anything suspicious. I was distracted the majority of the meal and we finally got a message that all was okay and that there was nothing to worry about. The next day I was told that there was a hole found in one of the gates and naturally that created a domino of events in our neck of the woods or hilltop to be more accurate. I’ve been asked repeatedly would I move my family out of Israel to feel safer. Based on the news today, uh that’s a negative definite heck no! There is a crazy fever running rampant in all parts of the world from Miami to Chicago, from Lebanon to Iraq. From France to Nigeria. I’ll take my chances in good old Israel, the safest most secure and holiest places of all, believing in G-d and the IDF to protect me. I’m not a religious zealot and know that bad things happen to good people all the time, I will most certainly be staying put with extra precautions living in a gated community where we celebrate life and mourn death. Saturday, I was invited to a celebratory dessert gathering for boys of friends that made it back from Gaza alive. There were light refreshments, baked goods and fruit that many neighbors contributed so that right after the morning service there was a pleasant crowd and a real sense of the word community was felt. However today is a new day, and I as I sit here typing these words my Red Alert App is dinging. 14:04 “Rockets Attack : Sderot” The war is not over, and our enemies still attack us. My hope for today us that our soldier boys, and men will not be injured, and that there will be no more Jewish blood spilled. If there is a message for today it would be this: Our enemies are close, whether you live in Florida, San Francisco, Los Angeles, Seattle, and Boston just in the US alone. Moving onto Europe, if you live in Paris, London, Brussels, Casablanca, or Frankfurt, you’ve seen it yourselves. Jews are the most targeted faith – that’s a fact. If there was one place I’d want to feel most protected? It’s the state of Israel. OUR state. Our land. Our right. The sooner you join us, the better we’ll all be. My Story. From Over The Green Line. I don’t even know where to begin but I feel now is the time to share. There is so much going on in our region of the world now that it should come as no surprise to any of my followers. We are at war. I thought about writing a piece as a mother, then as a Jew or an American or an Israeli or a settler or a blogger…not sure what angle I should be writing from made it all the more difficult to begin. But here I sit, the stress I’ve been enduring the last few weeks has left my face looking like the battlefield. Lack of sleep, on constant alert in the event that there MAY be a siren, constantly checking and rechecking my news feed for more or any information that seems new or better than the last-minute of awfulness, the constant pinging of my RED ALERT app alerting me of more rockets flying – mostly towards the southern communities, all have made the bags under my eyes weigh a ton and pimples sprout for no other apparent reason. 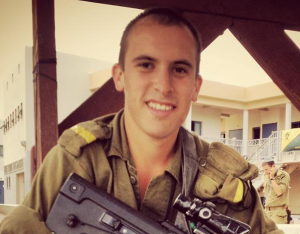 Max Steinberg, 24,a Los Angeles native who immigrated to Israel and enlisted in the Israel Defense Forces, was among the 13 soldiers killed in the Gaza Strip on Sunday. The slain IDF soldier who was laid to rest on Mt. Herzl in Jerusalem earlier today. I will not be going to any funerals today, but that is not true for many of my friends. I can not begin to imagine, and yet in my subconscious daze I sort of do imagine, what its like to have to say goodbye to your young soldier boy as he leaves you to go protect the rest of our country. My teenager is turning 15 in 1 week – that’ s like a blink of time before its his turn. And. I. Just. Can’t. Go. There. Because then I think of Max Steinberg, z”tl. I think about his parents. And my heart breaks into a million more pieces. I struggle with figuring out what to do, I want to pray but I can’t make it through the passages without breaking down. I want to help the efforts so I sent out a message on Facebook and within 2 hours and some amazing friends who networked faster than I could have even imagined, had raised close to $1000. I was literally shaking at the thought as I worked my way through the pharmacy picking out products I know they needed first-hand. Wipes, check – but how many packages? was 20 enough? 15 Bottles of sunscreen? And muscle relaxers and cream to help with jock itch – clearly not anything I am used to buying and then getting a strange look from the pharmacist when I told him 10 tubes of each. I explained my purchase but I was so worked up I’m not sure I was making any sense. I felt bad taking all the boxes of energy bars off the shelf so I left one. Then I went to the next store and bought 60 bags of gummy candy and 20 more containers of gummy candy shaped in hearts to send a message that our hearts are with them. I bought more wipes and about 400 granola bars. And batteries, so many batteries! I spend my day at work barely able to keep my mind on the tasks at hand and am distracted about 95% of the time, reading multiple articles and blogs, opinions vs facts and videos of idiots who call themselves political satirists. I follow some comments on Facebook posts that lead me to viewing sites from the opinions of our enemies and I am even more frightened by the amount of anger and violent hatred that is aimed at us, call us whatever you want. Jews. Israelis. Zionists. What have we done? Occupied a land as small as NJ? That was ours to begin with and that we cultivated with our own hands, blood, sweat and tears? A land where we plant flowers and vegetables in our gardens not dig holes filled with cement and weaponry with the intent to creep out like ants waiting to grab the first morsel/life that walks by? Who does this? When we dig below the earth it’s because scientists want to educate on a global level in the hopes that the “results of this project will have vast implications in the fields of science and environment and will shed light on new natural resources”. I am sad and angry. I am exhausted and weary that we will lose more sweet 20-year-old boys to this evil on the other side. And they are pure evil. Why there are so many who still support this entity of violence is beyond comprehension and then, then to read that other countries are willing to give millions, MILLIONS of dollars to aid them in rebuilding the homes of the ring leaders – that we just sacrificed our young soldiers for – who hid weapons of mass destruction in their basements? In their schools? In their places of worship and hospitals? The last time they were given piles of tax dollar monies they spent it on cement to dig tunnels with the direct aim to do massive harm to innocent civilians or kidnap a soldier. Those are MY tax dollars being used to torment me. Outrageous! I can’t think of enough curse words to express my outrage at this expression of sympathy. The world has gone mental if the general thought is that innocent women and children are being displaced. That does not mean I don’t feel for them because running for your life or losing a child is awful no matter what your religion is or what you believe. However, these are the women who raised terrorists and continue to praise their efforts. These children are receiving and education which will almost inevitably lead them to become terrorists. Televised programs encourage hatred and are what their children watch for fun, cultivating a life worth dying for at a very early age calling it martyrdom. It’s murder. It’s detestable. It should shock the world, and yet, as I continue to watch rally after rally in countries all over Europe, the UK, France and United States the world cries out in their defense, reminding us that we are “settlers occupying the land” and what this war is supposedly about. I live “over the green line” labeling me a settler. Not one of the Arabs I employ (but feel free to call them Palestinians if you want) has ever been or felt mistreated in any way. I offer drinks and the use of my bathroom if the need should arise if they are working on my house or in my garden and there has never been one word in anger that passed between us. For goodness sake, they are helping me build my house on OUR land!!! There are huge very clear red signs that state if I enter into their neighborhoods I risk my life. Why would I be risking my life? What’s on the other side of that sign? A pothole maybe that I can fall into like Alice in Wonderland and find myself deep in a tunnel and when I finally get to a stop am in the basement of some guy’s shwarma shop? Maybe. Who knows now? Not me, that’s for sure. How will I know that somewhere when I least expect it, there will be a sewer lid that lifts and out comes a terrorist? Yes, so now I’m paranoid, but what choice am I left with?! This is not our way. When we build tunnels, they end up looking like this: and was built in order to travel to Jerusalem and not through the Arab neighborhoods. Oh, and on the other side of this tunnel, only a few meters away is Bethlehem, and the Tomb of Rachel – where we all can pray – but with completely separate entrances. We are a fair nation with a moral conscience. We pulled our own people out of our own homes to give the enemy a chance. To show the world we are a just people. We gave and gave and now we must take back. The world needs to be a better place. We will lose innocent lives and mourn and then wipe off the dust and begin to build again. We have started to defend OUR right to live here and until the rest of the world wakes up we are going to have to fight hard to continue to live here. There is one thing we have going for us though, that no other surrounding nation has. 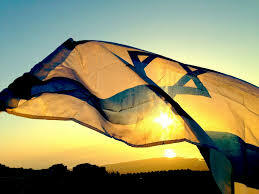 The love of G-d. We have His blessing. Here is my favorite line of the day though that I want to share with you. It has helped me time and again over the last 2 weeks and I firmly believe it.